For over 35 years ACS has been at the forefront of Asbestos, Health & Safety and Environmental research, consultancy and training. ACS educators and trainers have developed and delivered training courses across most major continents in the world and this expertise has now been transposed into the electronic medium of elearning. Click on the video for a brief introduction. Initial courses include Awareness Level and Management Level Asbestos, Legionella and Fire Safety as well as the IOSH accredited Managing Safely and Working Safely courses. Over the coming year, many more ACS courses will be introduced. Simply click on ‘Courses’ above to see our current range of elearning courses. The ACS eLearning Academy includes a Learning Management System (LMS) to allow clients to track training provided to employees and incorporates the latest elearning technology to deliver high quality, interactive and exciting training in physical risk management topics. 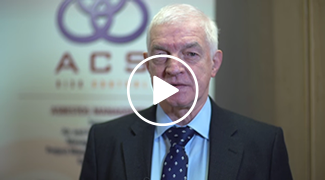 All course development is headed by Prof Roger Willey, a world-renowned expert in Asbestos, Health & Safety and Environmental Management education and consultancy.